Ion beam etching is a proven technology for enabling the fabrication of advanced thin film devices in a high volume production environment. 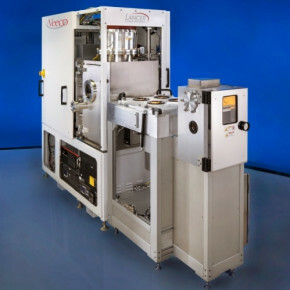 However, both R&D and pilot line production environments continue to innovate next generation MEMS, magnetic sensors and data storage devices that also rely on high performing etch systems with best-in-industry performance specifications. Veeco currently has over 300 installed ion beam etch systems worldwide supporting thin film device applications. The new Lancer™ Ion Beam Etch (IBE) System was designed for the development and production of next generation electronic devices found in smartphones, self-driving automobiles and other ‘internet-of-things’ devices that enable connectivity, functionality and mobility.